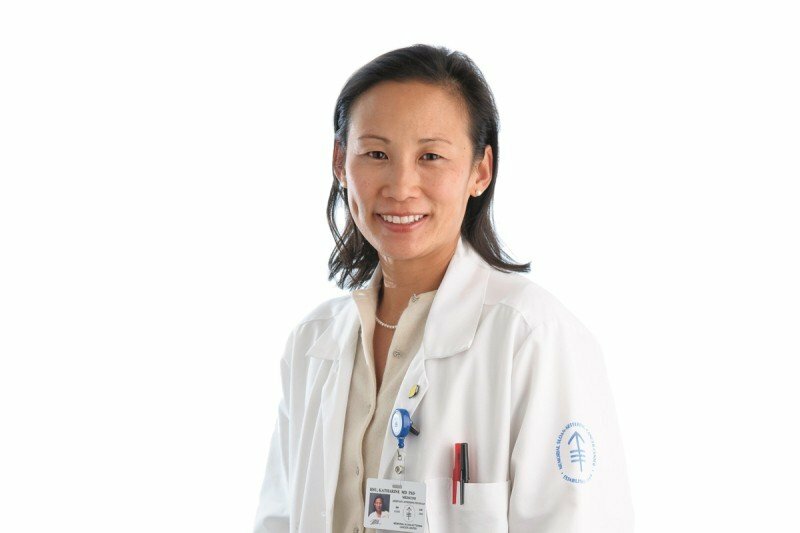 Memorial Sloan Kettering medical oncologist Katharine C. Hsu and colleagues have described an immune benefit of allogeneic, or donor-provided, blood stem cell transplants in patients being treated for leukemia. Memorial Sloan Kettering medical oncologist Katharine C. Hsu and colleagues have described an immune benefit of allogeneic, or donor-provided, blood stem cell transplants in patients being treated for leukemia. Published in Blood in the April 16 issue, the findings underscore the promise of harnessing natural killer (NK) cells — a type of immune cell that is active against tumors — for treatment of cancer. Cell-surface proteins called HLA are present on most of the body’s cells and are often altered or missing on cancer cells and virally infected cells. They also vary between individuals. Natural killer cells are programmed to spare cells with HLA that is identical to that of the body’s own cells — a phenomenon known as tolerance to self — while recognizing and killing cells without this HLA. In allogeneic blood stem cell transplants, the donor’s and patient’s HLA should be closely matched to avoid complications in which the patient’s immune system attacks the transplant. After the procedure, new NK cells form from the donor’s blood stem cells. It was previously believed that when the donor and patient are HLA-matched, NK cells derived from the transplant would be unable to attack the patient’s cancer cells because of their tolerance to self. She and her colleagues are now examining whether patients with other cancer types, such as neuroblastoma — a rare pediatric cancer — also benefit from NK cell activity after receiving transplants.